Yesterday, I walked into the studio to find our true-to-scale Master Chief statue no longer in its rightful place. It was perhaps similar to walking into your own home and finding a most prized possession missing from its podium. It felt quite wrong. I contemplated not continuing through the second set of doors to my desk. Luckily, I then remembered that we’re moving to a new building and that this wasn’t an act of treason, but rather an act of moving. The Master Chief is on his way to his new home, and soon, we will be too. This is the last community update coming to you from the Kirkland, Washington building that crafted every Halo title between Halo 3 and Halo 5, including not only these titles, but also ODST, Reach, Halo 4, and many more Halo experiences you might’ve enjoyed over the years. This will also be the last update of 2015, so we’re dropping by for a quick hello before we head home for the holidays, and also await the official opening of the new building. Wednesday morning, Cartographer’s Gift arrived to Halo 5, just in time for the holidays. The update brought a new set of toys (over 1,700 to be somewhat exact) with Forge, and a variety of improvements and additions across the game. Today, we’ll recap a few of them and get the skinny on some new maps before we say adieu to our current studio, as well as 2015, and get ready for the year ahead. The relentless advance of the Covenant turned entire planets into funeral pyres between 2525 and 2552. Outer colonies that escaped the attention of the Prophets’ fleets often faced social collapse and mass famine – or worse – after the UNSC retreated, due to their reliance on food and terraforming support from Earth. At best, these colonies lost much of their population and sociopolitical complexity, but stabilized with locally sustainable settlements and technologies. Unfortunately, many cut-off colonies suffered catastrophic failures and were completely wiped out in desperate civil wars, plagues, or rapid reversion of planetary ecologies. As a reminder of what could have been, Infinity’s Andesia-born War Games designers set the training environment of Overgrowth on a Promesa that almost-was: a tomb-city reclaimed by their homeworld’s native vegetation. Here, trainees could prepare themselves for the grim duty of conducting security surveys on dead colonies that had strangled themselves on the complexities of interstellar support and interdependencies during the Covenant War. Halo is all about opportunities and how you seize them. The moment just before you hit a Snapshot, a Jump-Thrust over a charging enemy, or the perfect magnum kill. Overgrowth was an opportunity to highlight such moments, and to flip the formula on the way Plaza plays -- the addition of brand new routes top mid and the swampy terrain down below create a much more close-quarters game. In Slayer, you'll want to stay close to a buddy who can watch your back and push for those close range Power Weapons. When scoring in Strongholds, it’s important to stay close to defend those points and not move too hastily away from them. With fewer overall flank routes, the Strongholds become your team’s power positions, forcing the enemy team to make a move. The map was a lot of fun to work on, and will be great to see all the opportunities players have navigating the corridors of Overgrowth. Cartographer’s Gift also includes two new BTB maps, which were co-authored by some of the finest Forgers this past summer, and then handed off to our 343 design team for a few months of iteration and polish before going live. To learn a bit more about the maps, I talked to Warholic and Ducain23, the gentlemen who collaborated with the 343 team to bring them into Halo 5. When designing any map, I start by defining the “conditions,” or the basic parameters I’ll be working in, such as optimal player count and viable game types. Once those are determined, I start thinking about the experience and imagine the kind of battle interactions I want players to achieve. These core foundations affect the majority of the decisions throughout the design process and can really help shape how closed, open, or vertical spaces are relative to players in the environment. When thinking about gameplay, my first goal was to create a fast-paced experience that complimented the advanced movement mechanics of infantry based combat while providing enough flexibility for light vehicular interaction. For my overall layout, I thought a ‘W’ shaped vehicle circuit would balance travel times between infantry and vehicle routes, and then connected the end points together to give it more fluid movement. I combined the traditional figure 8 design philosophy and ended up with a more pretzel shaped topology as a result which you can see in my initial sketch below. The first sketch was done immediately after establishing the core design pillars outlined above while the second provides a visualization of the refinement process and final layout. After departing from the studio, I wanted to help retain the visual theme I created with the Forerunner geometry as much as possible. I created some structures in SketchUp for Tom French to consider when finalizing this map which you can see below. The whole experience was something I’ll never forget. I finally met some of my long time Xbox friends and had a sensational experience meeting everyone at the studio. Thanks again for this opportunity, it was a pleasure to be a part of it. When I learned we’d be building BTB maps, I wasn’t sure which map I wanted to take on. There are so many to choose from, and I ultimately decided to go with Burial Mounds. This has always been one of my favorite BTB maps because it was really different from the others. The asymmetrical aspect of the map provides some very interesting gameplay and the vehicle routes really test the driver’s capabilities. I have always been a vehicle focused player, so this was at the top of my mind when making a Burial Mounds-inspired map in Halo 5. When I started making the map, 343 provided me with an additional Xbox One so I could have the original Burial Mounds on a second monitor while I was Forging. I used this initially just to get the rough size and general layout that I wanted. Then from there, I didn't really look at the original Burial Mounds again. I knew from past experiences that if I built the bases exactly the same as the original, my map would have the same issues the original had. For this reason, I decided to give each team a similar base - instead of one base being clearly better than the other. I also decided to keep the asymmetrical aspect of the map to provide a different style of gameplay, although that was extremely hard to do since I'm fairly OCD. Burial Mounds was originally on a desert/barren canvas. Since we don't have something like that in Halo 5 (yet... hint hint, 343), I decided to build it up in space. I know it is a bit strange, but I figured it would really fit the style of map I wanted to make. The first thing I noticed while Forging the natural parts of the map is the variety. It is incredible what the Forge team has provided, and I have never been able to make a map look as natural as what we did with Entombed. Every terrain piece flowed together and looked amazing with the space textures. 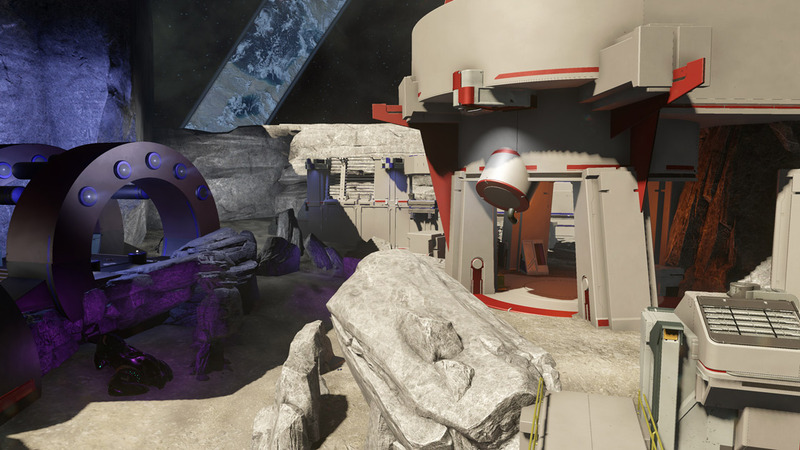 To offset the natural look of the map, I decided to go with a futuristic theme for the structures, and I also wanted to have multiple ways to enter into each base so a team couldn't easily defend an objective or have a place to camp in Slayer. Outside of the bases, I created some open areas for vehicles to drive around and engage in combat. Then in order to protect Spartans from the vehicle combat, I provided a cave section running through the center, with rocks around the outside and even a small crashed spaceship to move behind. Lastly, I decided to include the Wraith because I find that it normally doesn't get utilized very well on maps, and I believe it is perfect for Entombed. Working with the 343 team helped me reach the full potential of Entombed, and I hope everyone in the community enjoys the map as much as I enjoyed building it. This week’s update also packed a few surprises, one of which was an entirely new batch of Machinima controls. Throughout the franchise, Machinima creators have employed a variety of tactics to create quality entertainment - some feature-based, and others a bit hackier. For Halo 5, the Sandbox Team took a step back and asked how we could give Machinima creators more control and more options. To detail those, I’ve grabbed Matthew Koch from the Sandbox Team. Historically in mainline Halo games, Machinima options have been explicitly disabled in Xbox Live games to prevent exploits. 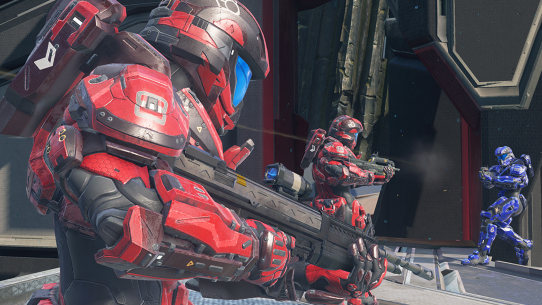 For Halo 5, we’ve made it a separate, dedicated option in custom games. Doing it this way allows us to add some additional features and not have to worry about giving competitive advantages. Machinima controls are also now easier to activate since we don’t have to worry about people triggering them by mistake. Additionally, it used to be difficult to view how your first-person actions will look in third-person. To remedy this, we added the ability to quickly switch to a Theater camera while in a game, during which you can still control your character in third-person from any cinematic view of your choice - and this is all done with the simple press of a button. We hope you enjoy these new tools, and can’t wait to see your creations! We’ve said it, you’ve said it – Forge is pretty big. We’re working on a few different ways to help players learn the Forge ropes, and also enjoying some of the community tutorials we’ve found on YouTube. Before the break, though, we wanted to share a few tips straight from the devs that you can use and have fun with through the holidays. Use intro camera previews for machinimas -- these let you do really tight reproducible camera shots. For fun times, have someone stand on a platform, then grab the platform and move it up with translation snap set to 4ft. (Physics reads this as the platform moving 4ft in 1/60th second = 240ft/s = 163mph, and that gets transferred to the standing player). Also, if you start a Ground Pound and then go into Monitor mode, you’ll still be Ground Pounding when you go back into player mode. Releasing the trigger while rotating or moving will slow down movement, allowing for more double analog precision. It's tricky but useful at times. Building on grid helps for more precise layouts since most of our pieces are built to grid. Our new controls are like learning to type or use bumper jumper. It's a bit tricky at first but it's significantly faster to get at the actions you do 90% of the time. Use center of mass rotation (RT + dpad-up), camera type rotation (RT+LT + dpad-up to cycle to), and lock the camera onto a natural terrain object when trying to align it with others. The combo of those things seems to make it easier to visually tweak things. Man-cannons launch vehicles and infantry, Grav Lifts just launch Spartans. If your objects aren't moving around the level, there's no need wo weld them. Just grouping generally is what you need for static structure type stuff. The chroma screens don't have physics so you can walk/drive through them. This is can be for machinima fx or even potential level trickery. To do event timers, you can use combination of scripting objects to despawn on the event, respawn timers, and sending messages/setting power on object respawn. Kinda hacky, but a good stop-gap until we get something better online. Aiming your crosshairs at magnets influences which ones connect. Moving objects in local axis mode (LT+dpad-down to cycle to; arrows visible coming from object) with grid snaps on will move the object the snap distance from its current position; not the world grid snap. Comes in super handy when you've built something at an angle and/or want to move objects precise distances from each other. Z-fight snaps can also be used to augment precision movement. We’re keepin’ an eye on your Forge creations (maps of all kinds, videos, and explosive pits of death) through the holidays – keep posting things like this and this, and be sure to check out r/Halo’s just-posted Forge Friday spotlight here. Much of the goodness within the Cartographer’s Gift update was a direct result of feedback we’ve received since launch – to see all of the content and read the patch notes, head here. The update brings with it Holiday Social and Holiday Doubles, both of which have been widely requested playlists. They’ll be available through the holidays (until Jan. 4), at which point we’ll evaluate these lists. What types of game types can we add to a future social playlist? How Action Sack-y should it get? What great community content will we find in early 2016? What types of new content can we bring to Team Doubles to make it even better? These are all the types of questions we’re asking and things we’ll be thinking about as we evaluate feedback and population data early next year. As a note, these two playlists will replace the weekend community poll through the holidays, and you can be quite certain that we’ll undoubtedly be bringing back some weekend polls in the new year. 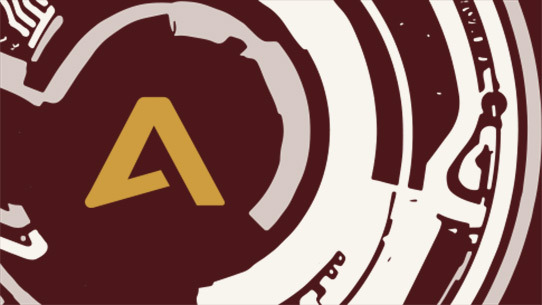 On the topic of playlists, FFA has been adjusted to six players, the Warzone Armory exploit has been fixed, we’ve modified vehicles on Recurve and Guillotine, and also removed vehicles from Snipers maps in Holiday Social, all based on your input. 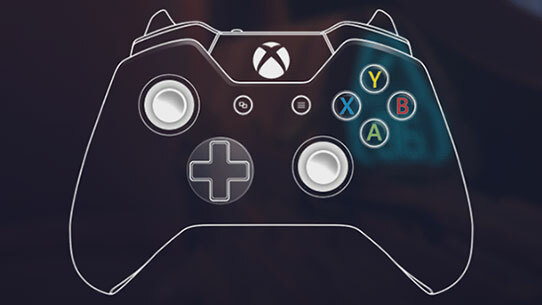 The UI team crammed a bunch of improvements into gameplay, lobby, and spectate, created based on feedback we’ve received, and all-new controller options give you a never-before-seen level of tuning. The SPNKr is back, and dozens of new REQs are now available. It is a pleasure to say that a great deal of these updates were a direct result of your conversations, and work on more improvements, maps, modes, weapons, and more is already underway. We hope you enjoy this week’s update and Forge through the holidays, and we’ll be back in early January to talk more about what’s next, ‘cause there’s plenty on the way. I myself have only seen a few previews of what 2016 holds, but I do believe we can expect great things. Before we go, let’s take a look at some of the top plays from this week. You may not have heard of the name DanielApeldoorn until now, but it is not a name you will soon forget. In this clip, he perfectly times – and targets – a Ground Pound late in a Warzone match. I won’t spoil the rest. Watch it here! In our second clip, AnX IReCoiLz is in a 1-on-3 Last Spartan Standing scenario and pulls off some incredible last-second moves. Watch it here! And, to round out the week, let’s watch this Ground Pound from downtown from CRUM LEE over and over, thanks to the power of the gifv. Thanks for joining us this week and every week. We’ll be playing quite a bit of Halo 5 through the holidays, and we hope you will too. Have a happy and safe holiday break, and we’ll talk to you in the new year. p.s. 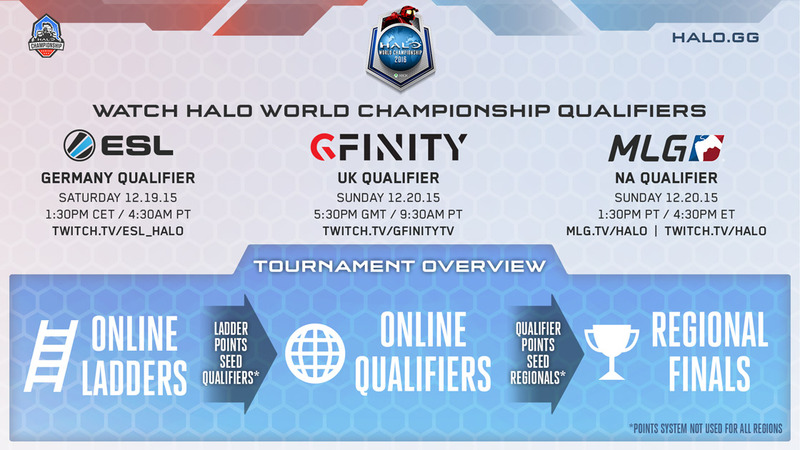 don’t forget to check out this weekend’s Halo World Championship Qualifiers, starting tomorrow on Twitch.tv/Halo, Twitch.tv/ESLUK, and Twitch.tv/Gfinitytv! Additional details and specific times are below, and be on the lookout for some additional editorial coverage this evening at Halo.gg. 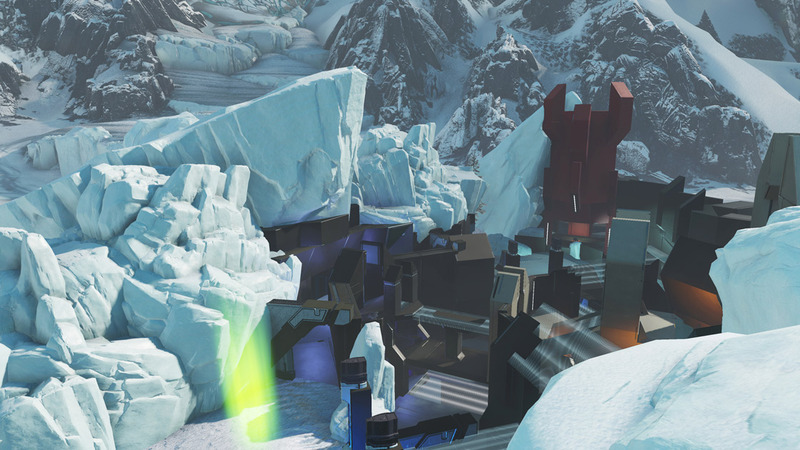 The Cartographer’s Gift update for Halo 5 brings with it the arrival of Seasons. Seasons are a new competitive feature for Arena which will give you a chance to continually challenge yourself in ranked playlists, and also prove that you’ve improved your game since the last Season. Sandbox Team here with a quick update. We are excited to share with you that as part of next week’s update, we have added some additional options to the Controller Menu that will allow you to further customize your shooting/aiming experience. Over the past few weeks, we’ve been reviewing your feedback on weekend playlists, as well as playlist and modes you’d like to see in the future. We’re currently brainstorming ideas for future weekend and social playlists, and while the weekend playlist poll will return, it will take a few weeks off during the holidays as we rotate in a long-term social playlist and also take time to build new playlists and modes for the future.